Submitted by mahoney on Wed, 01/09/2008 - 4:36pm. These are all the LA Fitness Health Clubs across the U.S...LA Fitness is a privately-owned American health club chain established in 1984. It consists of over 200 gyms  located throughout the United States and is headquartered in Irvine, California. 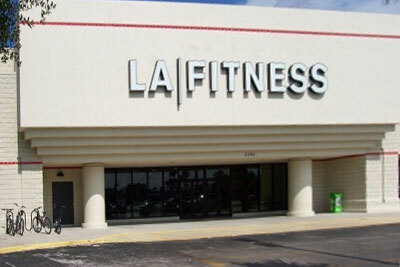 LA Fitness clubs are located in many major metropolitan areas in the US Southwest, Northeast and Midwest, Florida, Georgia, Minnesota, Texas, Illinois and Wisconsin. All LA Fitness clubs offer cardiovascular-training and strength-training equipment, free weights and group exercise classes. Most clubs also offer a heated lap pool and whirlpool, full court basketball, racquetball, indoor cycling, personal training, a kids program, and a sauna. There is also a babysitting service for your kids while you workout. Reformatted the file, added addresses and compared the listiing to the website locator. If I missed any, please let me know.